Are you trying to find the right Katy Texas Karate class for you and your family? Perhaps you and your children are considering visiting a dojo, but you don’t know which one you should pick. There are many martial arts studios and gymnasiums in the city of Houston, but you can count on us to stand out from the crowd. 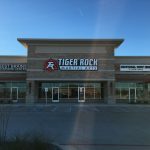 With Tiger-Rock Martial Arts being ready at all times to provide you with high-level instruction, you’ll never be disappointed. Contact us today for more information, and keep reading to learn more. Founded in 1983, Tiger-Rock is currently the most popular and successful martial arts franchise in the state of America. We have equipped each and every one of our locations with a team full of experts and certified instructors. If you’re trying to find a group of professionals who have decades of experience, TRMA is the perfect place for you. 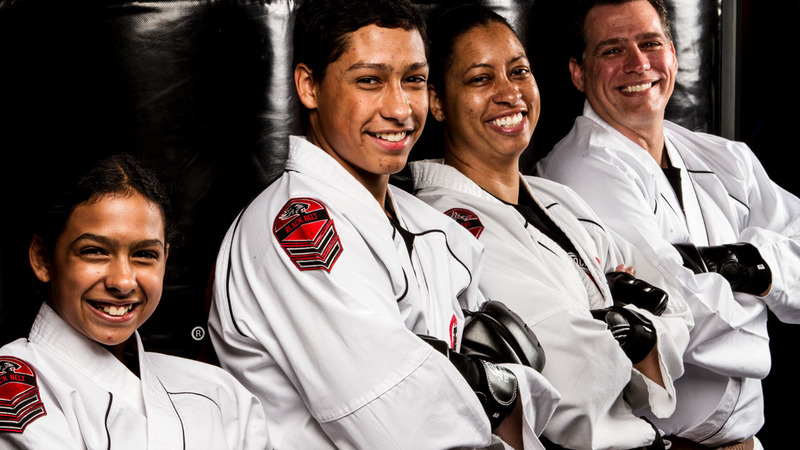 We know what it takes to become a martial artist, and we’re prepared to guide your transformation. If you’re beginning to worry about your level of mental and physical strength, we can help you make drastic improvements. You can count on our instructors to teach you the skills you need to succeed. We teach a traditional form of Korean Taekwondo as well as self-defense classes. This is something that a lot of our prospective students ask for, and we’re always trying to help you grow into the person you want to be. Consistently attending a martial arts class can have a wide variety of benefits that you will definitely see in your everyday life. Are you currently unsatisfied with your level of physical strength? Perhaps your upper and lower body are not where they need to be, and you’re trying to get stronger. If so, regularly attending our karate sessions is a great start. We ask our students to bring a high level of energy to sessions, and when you do this, you’ll be getting the most out of the session. The series of strikes, kicks, and routines we put you through will help you increase your strength. You will also definitely see an improvement in your flexibility. A lot of us have very sedentary lives, and while this is commonplace nowadays it’s still not healthy. Are you beginning to realize that you’re not as nimble as you once were, and you’re trying to figure this out on your own? If you can’t seem to find the right avenue to increase your flexibility, studying martial arts is the best way to achieve this. When you’re constantly practicing martial arts, you will become more flexible very quickly. Your cardiovascular health is something that will also see an uptick when you study at our Katy Texas Karate dojo. Endurance is absolutely critical, and you’re definitely going to want to make sure you stay energized even after doing a moderate amount of cardio. Are you beginning to feel winded very easily and you’re not happy with your current level of physical fitness? If so, know that we can help. Enroll in our courses and you will see your level of stamina increase. Discipline is something that cannot be overstated. When you’re living in today’s society, it is absolutely critical that you are disciplined enough to thrive in all aspects of life. Are you noticing that your performance at work is very inconsistent? Maybe your grades in school are constantly fluctuating and it’s beginning to have a negative effect on your life. If you’re trying to become more consistent and even-keeled, we think we can help. With our professional instructors being around during each step of the way, you’ll have the team you need to grow. Tiger-Rock also encourages our many students to participate in the competitions that we hold on a regular basis. We have nationwide competitions that can help you increase your skill level and hone your techniques. We believe that healthily competing is a big part of developing your skills and capabilities. If you’re trying to figure out the best way to make sure you’re making strides, we suggest participating in a national competition. We can pair you with another student who has had similar training and experiences. A sparring partner is a great way to see where you measure up against other students. Our instructors have decades of experience, and we know how to help both adults and children succeed and reach their goals. You might be looking for a dojo that can help your entire family get better and build confidence. If so, we believe that TRMA is the best place for you all. Try out our introductory course package and attend three classes to see if this is the right fit for you. We can provide you with a performance evaluation afterward that will give you insight. We’ll make sure you get into the perfect program that matches your current capabilities. Tiger-Rock Is Ready To Train! Don’t fret if you’re having problems finding the best Katy Texas Karate classes for you or your kids. It is important to take your time when you’re on this journey, and we know how stressful it can be. If you’re prepared to start pushing yourself past your limits and you want to grow both mentally and physically, contact us today. At Tiger-Rock, we know that it can be tough, but our certified instructors are here to help you reach your full potential. Contact our representatives today for more information about our classes and schedules. We have a plethora of time slots that will fit your busy lifestyles! Before we gained the name Katy, did you know that people used to refer to our town as Cane Island? The Great Galveston Hurricane was a natural disaster that left a lasting effect on our city. Even though this was tough to get over at first, our community continues to pull together to make our home better than ever. People respect Katy for our homely nature and historical districts, but there’s more depth to our city now. While you’re in town, why not go shop at the Katy Mills Mall? Make sure you visit BP America’s campus in the Energy Corridor. They have over five thousand employees there!